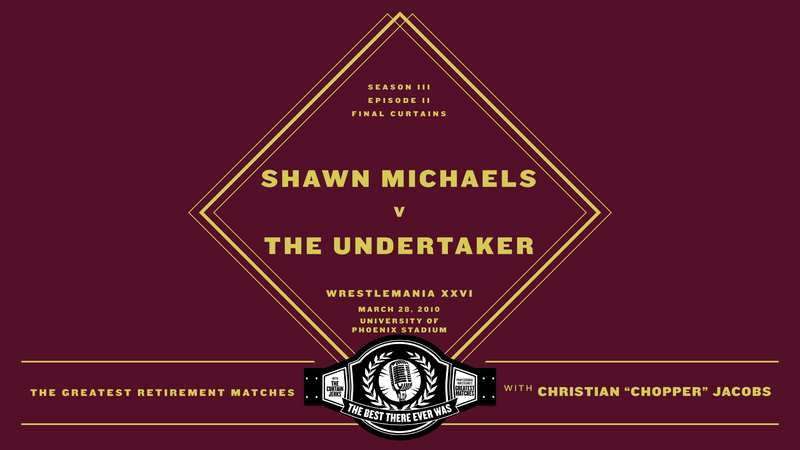 Chris & Fax discuss the final match of WrestleMania XXVI. It was “Streak vs Career” as Shawn Michaels took on The Undertaker in his retirement match. Joining them to discuss the HBK’s final curtain is performer Christian “Chopper” Jacobs. In season three of The Best There Ever Was we discuss wrestling’s greatest retirement matches.